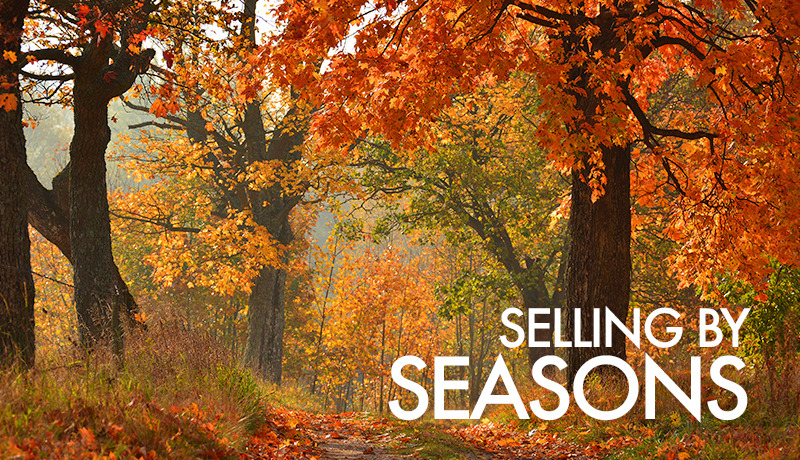 While historically agents have told vendors to hold off selling until spring, many people simply sell when they need to. nowadays it’s less about picking the perfect time and more about understanding how to present a property in the particular season. It’s true everything seems to come to life in spring. The flowers are blooming, the weather is better and people are getting out and about more, which is why it’s a popular time to sell. In spring, it’s easier to attract potential buyers to open houses, but they still need to be wowed. No matter the season, it’s about showing the home in the best possible light and downplaying any potential negatives. In summer, it’s all about temperature and outdoor lifestyle. Summers nowadays can get quite hot, so when selling, be strategic about the times of inspections. If a home doesn’t have air-conditioning and you hold an open at the hottest part of the day, that’s the first thing a potential buyer will notice – that they’re dying of heat. Do things differently. Maybe hold opens in the early morning or early evening, when the heat won’t be such an issue. You also need to think about what people are doing in summer. If it’s the middle of the day on a weekend, they might be at the beach, for example, so you need to take that into consideration. If the property has cooling, use it. When you know it’s going to be a hot day, and you have an inspection, ensure the air-conditioner is turned on early enough to actually cool the property down. Any outdoor areas should be dressed to impress. If you’re lucky enough to have a pool, have the umbrellas up, the lilos floating on the water and a nice cool drinking sitting there, so people can really imagine enjoying that space. If it’s raining, we’ll always put umbrellas out for people to use. I’m even lucky to have someone who works with me and he’ll walk people to and from their car. If there’s a fireplace, have it roaring. Alternatively, if you don’t have a fire, and it’s a really cold and miserable day, you can even pop the oven on and have something cooking in it. People have been known to pop a roast in the oven for potential buyers. The smell is divine and it makes it feel instantly homely. Candles also add warmth and ambience in any season, but especially in winter. In autumn vendors either need to deal with fallen leaves – or make a feature of them. By raking up leaves before an open, vendors ensure potential buyers don’t see "lots of work”, she says. Wet leaves which get dragged into the house can make it look messy too. Some places are built to be low maintenance, with large areas of grass and maybe just a few trees, which may drop leaves. If you can’t rake them up, put something there, to divert the eye. A few pieces of nice outdoor furniture, maybe even a fire pit, can turn a negative into a positive.